With a focus on high level mix projects, the control room at ERX has a warm comfortable vibe combined with an extremely accurate acoustic space. Featuring non parallel walls, unfinished clear cedar, a ceiling of 3 way diffusers and lots of studio glass, this room feels warm and natural and reflects sound in a very pleasing way. The result is a mostly reflection free environment that excels for voice over work, instrument recording or anything else that requires a direct, ultra focused and controlled sound. Two standard isolation booths are also available for singers, guitar amps or any other instrument that requires bleed free tracking. 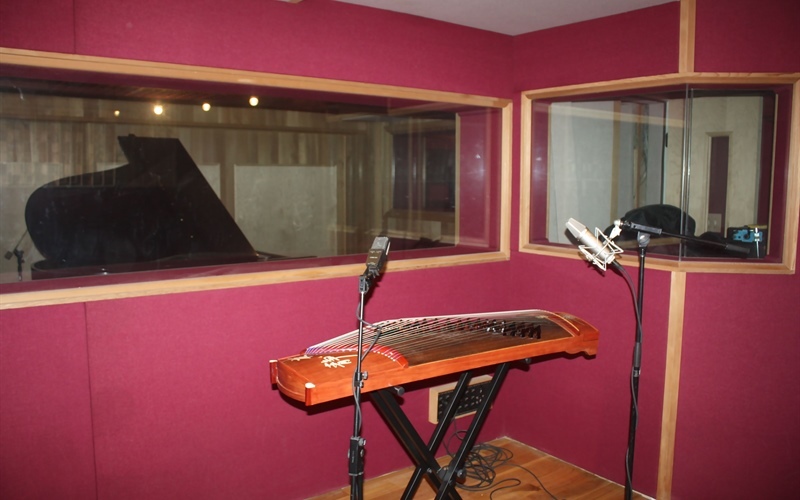 With 3 main rooms, two isolation booths and a client lounge we have plenty of options for your recording needs. 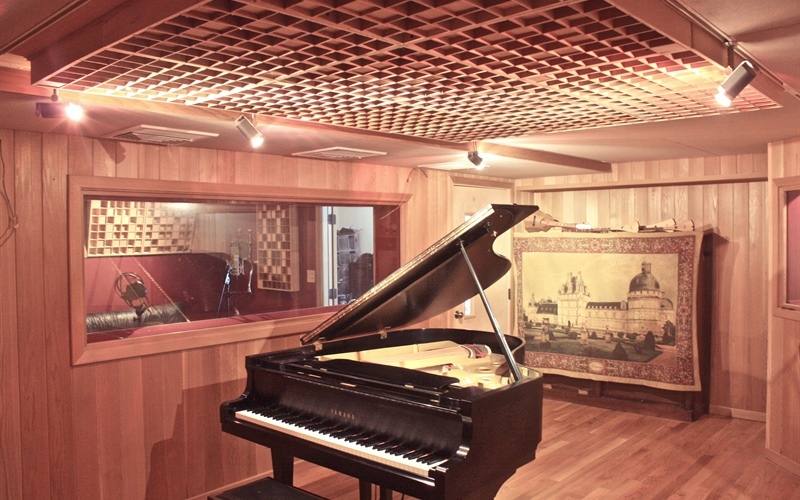 The control room and live room have been treated by the Walters Storyk Design group for maximum acoustic transparency and accuracy and feature bass traps and diffuser systems by RPG. All rooms are visible to each other through large glass to ensure maximum visual connection and vibe with band mates during tracking. With a focus on high level mix projects, the control room at ERX has a warm comfortable vibe and an xtremely accurate acoustic signature. Suited for both mixing and mastering, monitoring is done through custom made ATC SCM50 monitors, Mackie HR824s and Avantone mix cubes. The centerpiece of ERX control is our beautiful and newly restored SSL 4048 G+ console with VCA automation and total recall. 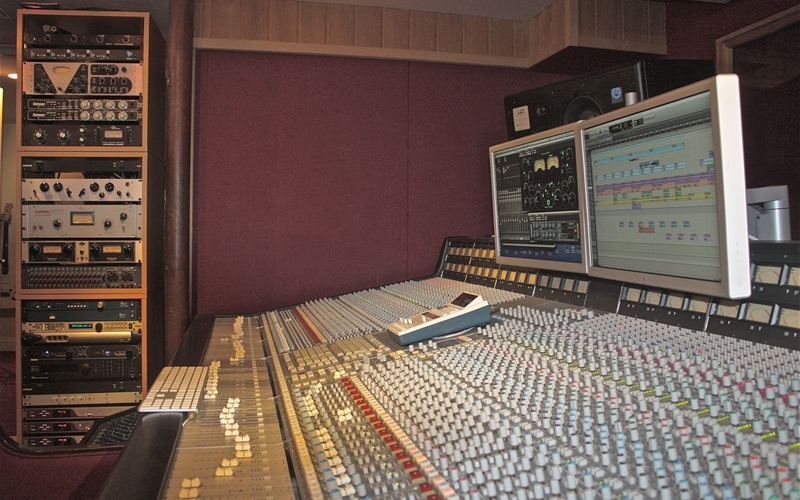 Monitoring can be instantly switched between the SSL console or direct Pro Tools (in the box) outputs for side by side comparison of which mixing platform best suits a project. For those who require the convenience of digital recall with the fidelity of analog summing, a Neve 8816 summing mixer is readily available in our outboard rack. For tracking, high end pre amps abound. In addition to the 48 SSL pres in the console we have 9 channels of a Neve VR console, 2-1084’s, 2-1073’s and outboard mic pres by API, GML and Manley. The left rear corner of the control room features an amp head stack of the what’s what in modern day boutique guitar amplifiers. These amp heads are all stacked in the control room and various speaker cabs are arranged outside the control room in isolation. From within the control room you can plug into any amp and by use of a custom made amp/speaker selector route that amp to any outside cabinet. This allows for a huge range of guitar (or re-amped) tones but the best part is that you can dial in the amp while monitoring right from the control room speakers allowing you to get your perfect tone quickly and easily. Similarly to the control room, the ERX live room has also been acoustically tuned by the Walters Storyk design group. Here you will find bass traps by RPG as well as 3 multi surface acoustical wall panels that can vary the acoustical signature of the room. Featuring non parallel walls, unfinished clear cedar, a ceiling of 3 way diffusers and lots of studio glass, this room feels warm and natural and reflects sound in a very pleasing way. This room is essentially a giant sound trap. All walls and the ceilings are made of beautiful fabric stretched over thick fiberglass absorbers. The result is a mostly reflection free environment that excels for voice over work, instrument recording or anything else that requires a direct, controlled and ultra focused sound. Portable diffusers can be brought in and instantly hung anywhere on the walls to ad a more reflective and open sonic signature if required. Either way this room is tight and focused and the vibe is warm and creative. 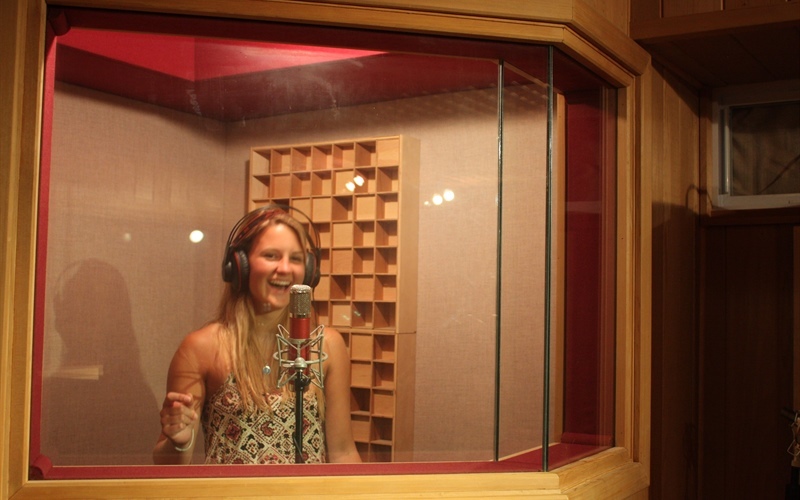 Two Isolation booths are also available for singers, guitar amps or any other instrument that requires bleed free tracking. As with all rooms, there is much glass for visual communication with your musical cohorts. Copyright 2019 by ERX Productions, Inc.